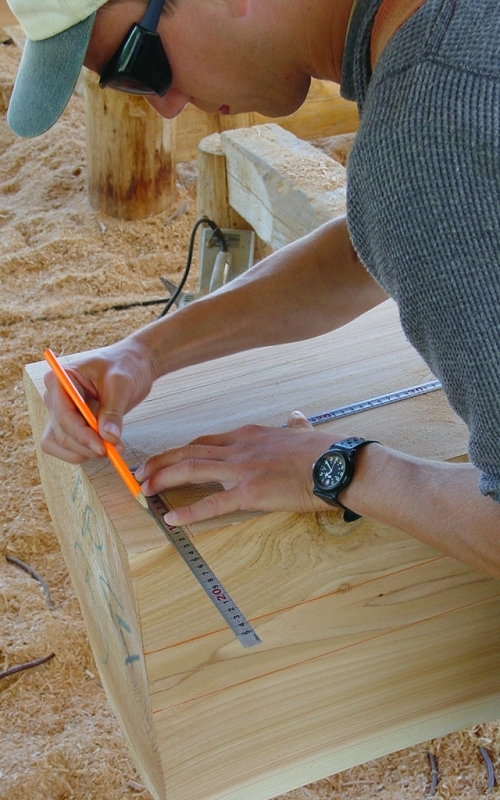 Every piece is carefully marked and cut according to plan. Each piece is designed to fit into another using traditional timber joinery. 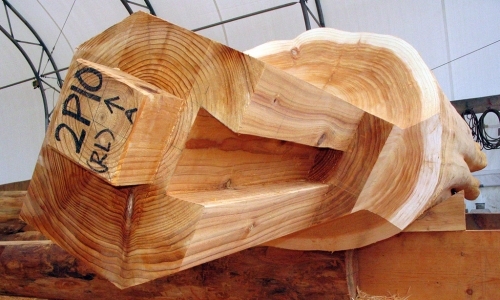 We want to showcase the extraordinary craftsmanship that goes into every West Coast Log Home. 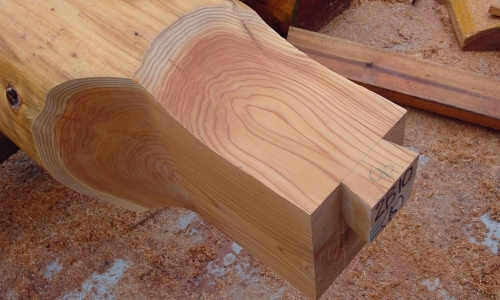 The principle of using wood-on-wood joinery is never compromised and every joinery connection is built to last many generations. 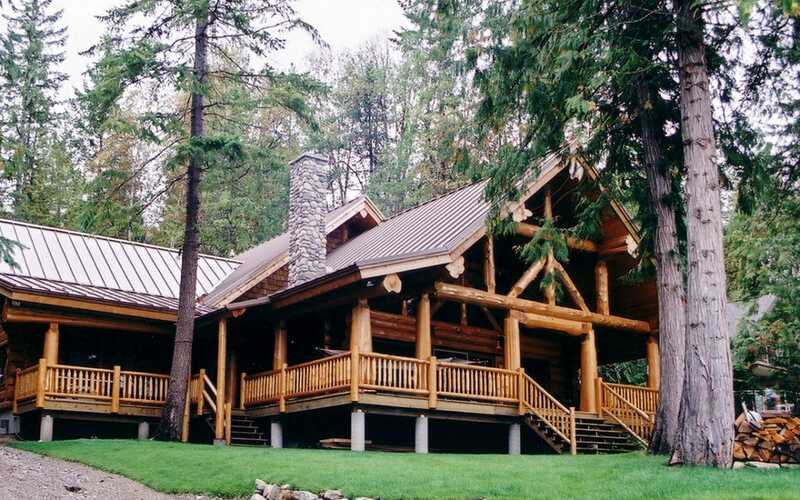 This is where log and timber homes stand apart from each other. 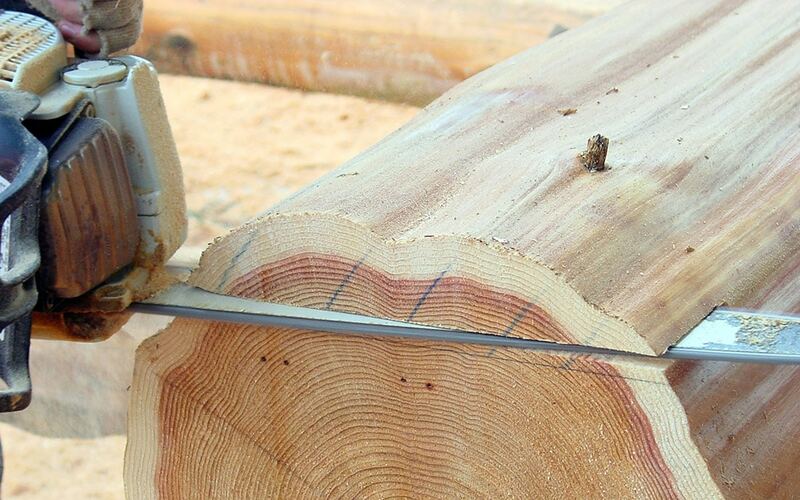 There are many shortcuts and compromises that can be made when building with logs and timber, however at West Coast Log Homes we shun these practices. 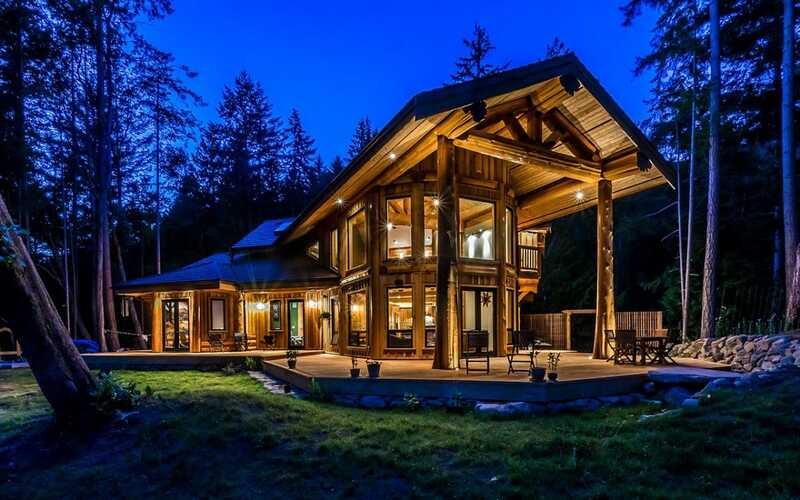 Therefore it is essential that we educate our clients in the building process since many of the joinery details are hidden within the structure after construction. Our foremen layout each piece by hand. Marking exactly where cuts will be made to create joinery connections. 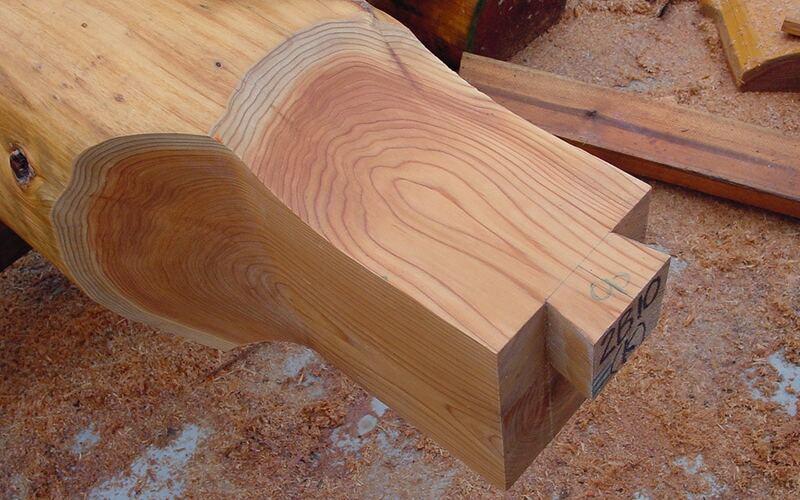 Each piece is marked with millimeter precision ensuring a tight and accurate fit. 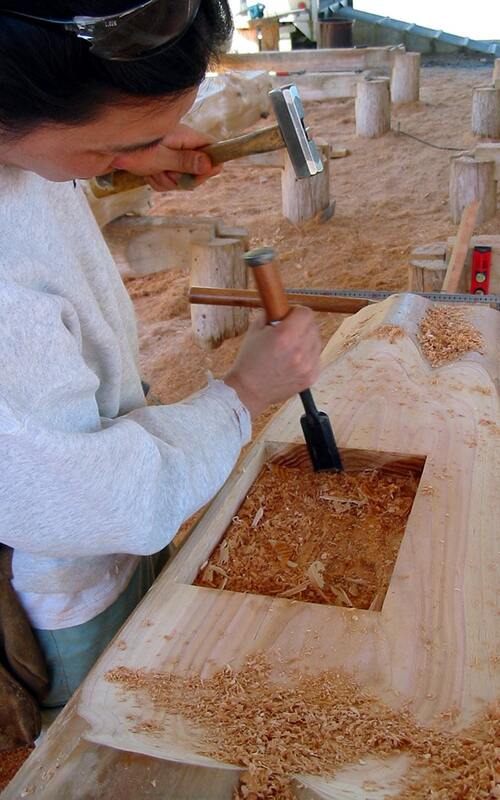 Using a variety of power and hand tools, dovetails, tenons, and mortises are cut to create the interlocking joinery that will provide strength to the completed structure. Many of the techniques we use are hundreds of years old. 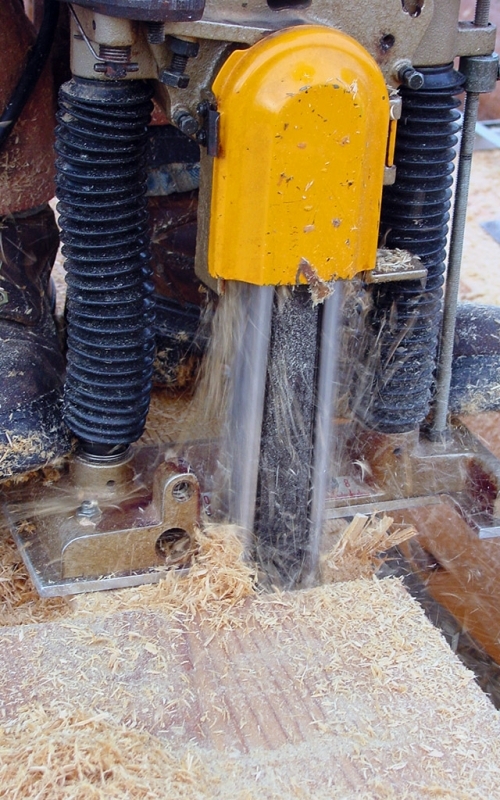 We utilize a wide variety of modern and traditional tools including chisels, slicks, mortise machines, planers, and ofcourse Granberg chainsaw mill chainsaws. 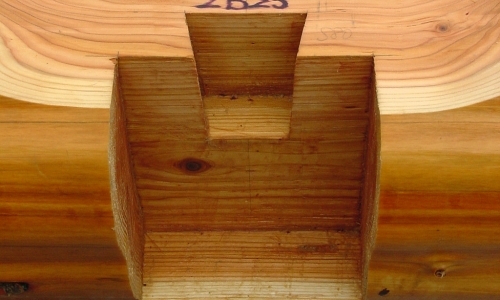 By using wood-on-wood joinery, rather than exposed metal plates, we avoid many of the problems mixing wood and metal can create. 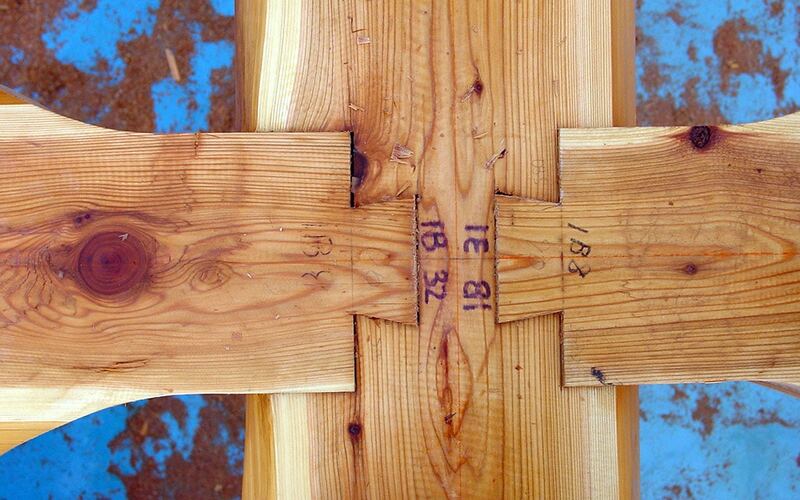 Wood and metal expand and contract at different rates with changes in temperature, which can cause cracks in the long term. 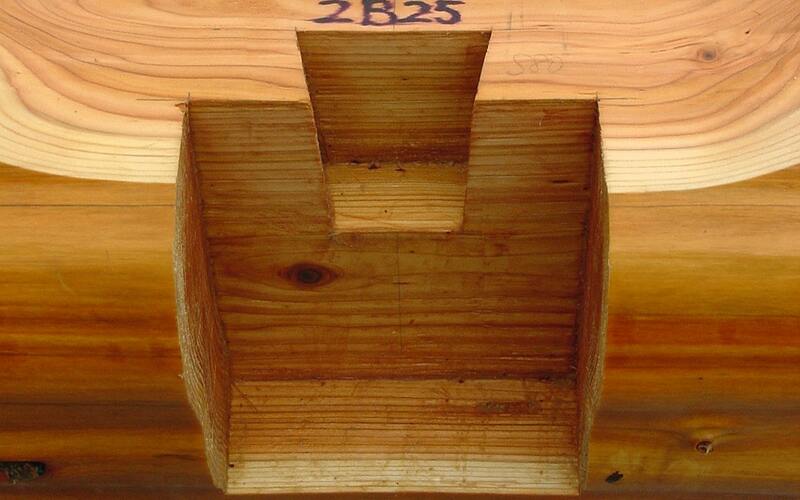 Also, as metal cools far faster than wood condensation can cause rot due to the presence of water. Metal hardware can also rust and stain log and timber work if not maintained properly. Sometimes metal hardware is required for structural engineering reasons, in these cases we try to integrate the hardware into the log work to keep it protected from the elements.